SUMMARY: A hotel concierge is accused of murdering one of his wealthiest guests in this highly-stylized, fun-filled comedy. 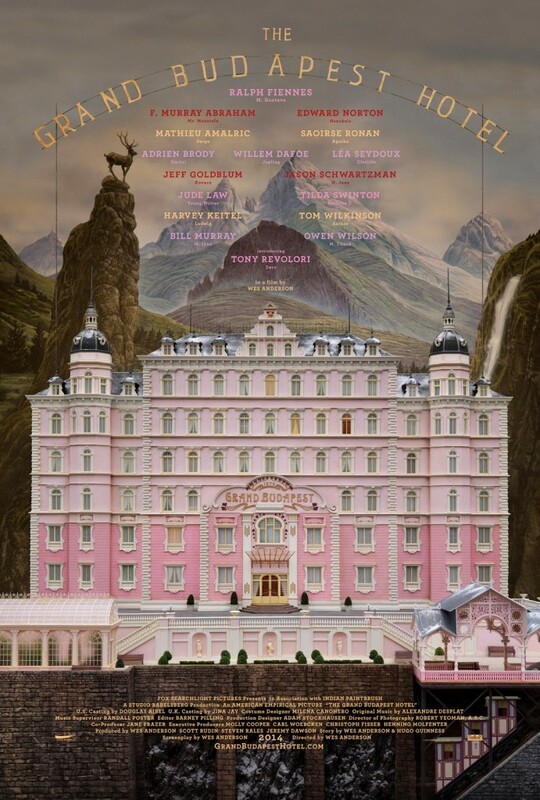 DETAILS: Gustave H. (Ralph Fiennes) is the loved and respected concierge of the Grand Budapest Hotel at the height of the hotel’s fame in the 1930’s. His guests all love him, especially the wealthy, old, blond woman whom he cares for, flatters, and often sleeps with. But when one of the wealthiest ends up murdered, the fingers are pointed at Gustav. He and his Lobby Boy, Zero (Anthony Quinonez) soon are on the run from the family and their hired hit man in a chase that takes them from a prison break to the highest slopes of Europe in this highly-stylized, artfully-directed, comedy that hopefully will find room on it’s shelf for an Oscar or two.